The Wild Archaeology team flies clear across the country to the Labrador interior at Sheshatshiu, where they work with archaeologist Scott Neilsen to uncover the ancient campsites of the Innu—the region’s first occupants. As Jen and Jacob dig tirelessly within their quadrants they uncover hundreds of fire-cracked rocks and tool-making flakes, which suggests that they might just be zeroing in on something special. Makoce Owaunspe wicastapi iyohpiya Labrador mahedtahan, Sheshatshui hetkiya kinyan witaya iyayapi. Hed Makoce owaunspe wicasta wan, Scott Neilson kci waecunpi. Innu waziyata oyate iwanyakapi. Hena tokaha hed nipi. Jen, Jacob kci inyan peta un kagapi nina ota iyeyapi. Taku kin he waste iyeyapi kte se ecece. 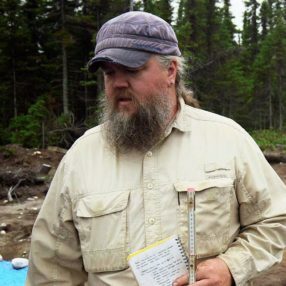 Scott is focused on the long-term history of Indigenous people in eastern Quebec and Labrador with the Sheshatshiu Archaeology Project – a multi-year research partnership between Sheshatshiu Innu First Nation and the Labrador Institute at MUN. Sheshatshiu Makoce Owanunspe – Wioya anpata Quebec hetkiya qa Labrador Ikce Wicasta pi kin ehana tokedked onin pi kin ed wanyake. MUN ed Labrador Wayawa Tipi hed Ikce Wicasta pi kin unspeiciciyapi. There was camp sites that were there that were once on the beach. Mini Tanka makoce isakib hed otipi. The Sheshatshiu Innu Territory is located about 40 km south of Goose Bay, and has a population about 1,300. 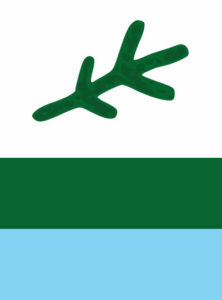 It is one of two Innu communities in Labrador and Newfoundland, together with the Mushuau Innu First Nation. Makoce kin Goose Bay ed Sheshatshiu Innu Oyate wikcemna topa Itokaga hetkiya tuwe omani kin han otonwe kin he kiktopa nunge som opanwega yamni hehanyan hed tipi. Otunwe num, Labrador qa Newfoundland kici Mushuau Innu Oyate hed tipi. A natural place to work is sitting around the fire where it is warm, and that holds true across continents and throughout history. Fire features with heat-cracked rock and burnt soil are a perfect place to focus an excavation trench, much like the middens our team visited on the Pacific coast. It’s here that we find evidence of intense activity over time. Flakes of stone dropped while ancient peoples shaped a spear point, scraper or knife tell us much about the activities, travels and trade of the inhabitants. Wicoh’an wan tiyata ikiyeda ikce kte, nakun okadya peta ohomini yankapi kte hena waste qa wicaka pi ahana wohdakapi kin he. Peta kin he tani wicohan wan wastehce. 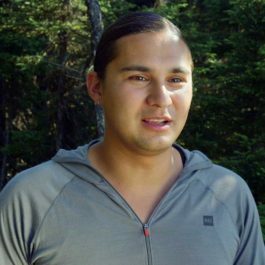 Ihnonah taku isan wan, is kak’ohk’oh pi is wahinpe tanka iyeyapi kte hece taku Ikce Wicasta wiconi kin ostodyapte. Becoming familiar with the landscape is very important to archaeologists; knowing where to look and how to look is a big part of our job. Tuwe makoce owaunspe kinhan, makoce sdoye kin waste kte. Tukted omani un pi kinhan, he wicoh’an ic’ikaga pi wastekte. 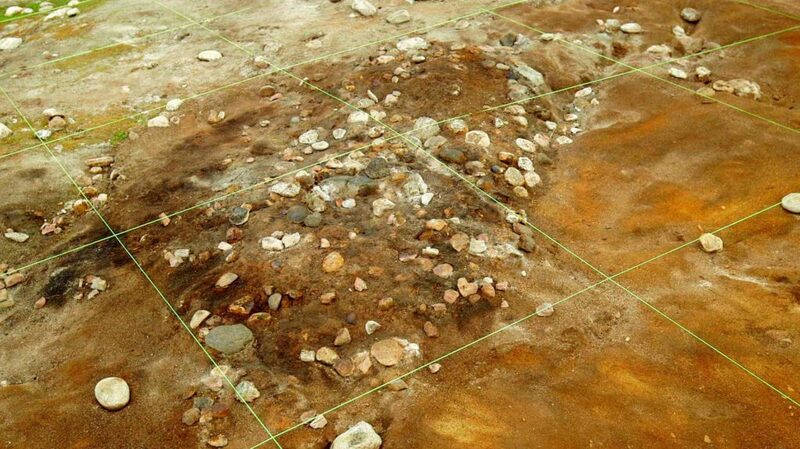 The stone point Jacob found highlights a fascinating aspect of Inuit and Innu sites in Labrador, which is the interaction with other groups, namely the Dorset. His find looks suspiciously like a Groswater Dorset Endblade, a small point typically attached to the hafted end of a harpoon. This innovative compound tool is well adapted to hunting seal from holes in the ice and indicates that the Innu here were in contact with the Dorset. Icape Jacob iyeya kin he Waziyata Wicasta Pi qa Makoce otipi kin Labrador ed oyate toktokca tiyaza titokan unpi. Dorset hena ka pi. Taku he iyeye kin he Groswater Dorset End Blade hecece. Inkpa kin he can omahacetanhan ostake kaga pi. Inkpa kin mini sunka hena un ktepi waste. Mini bde kin hena caga ogdoka caga pi waziya wicasta pi Dorset Oyate owicakiya pi sdodunyan pi. The best stone for making tools flakes is chert, flint and other grainy quartzes with a high silica content. These rocks don’t have a crystallized texture, letting them flake in the right manner for shaping. Ideally, this flaking produces a rounded ribbed pattern like a small wave on the surface, but sometimes cracking happens along fault lines so a much straighter surface is exposed and then worked. Inyan wastehce wanji he wakute un kaga pi kin he, inyan suta qa inyan kpankpan, hehan inyan toktokce. Inyan kin dena wiyakpakpa pi sni ehe inyan kpankpan hena waste un pi. Inyan kin hena ehe waste wakantu akan, tka tohantuca pahmunge pi heced o-otana wakantu yuha skan pi. 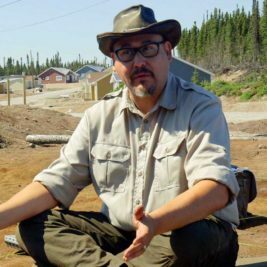 One of the mysteries that Scott Neilsen is trying to unravel is the source quarries of much of the tool and weapon stone we find at the Goose Bay site. Some samples seem to come from long distances because of the small size of the flakes found at the site. Others seem to come from much closer to home. Answers to these seemingly simple questions tell us much about the complexities of the societies in the region at the time. Goose Bay makoce kin hed taku wanji Scott Neilsen ode kte waecun. Taku ode kin he tokiha qa mazakan inyan kin he iyeye. Unge tanhantu hed iyeya pi. Inyan kpankpan hed iyeya pi. Tiyata kinya etanhan hed makoce kin iyeya pi. Hece oyate pi kin hena toktokca henan oninpi kin wicoiye wasteste un ic’ikaga pi.